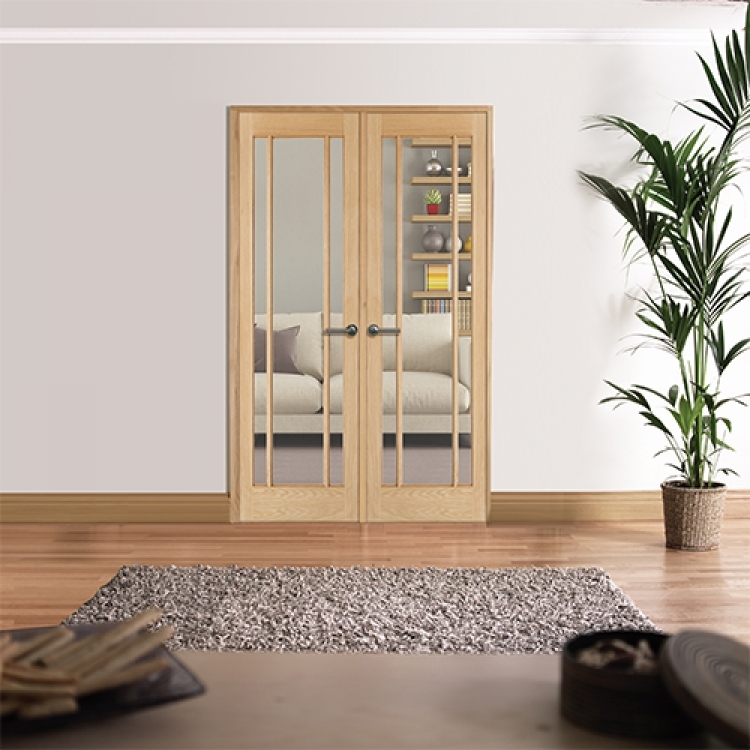 The Lincoln Oak internal room divider is a stunning internal French door that’s perfect for letting in the light and having the option to open up your living space or shut the rooms off for those cosy times. You can create a warm and inviting environment with the Lincoln Oak range, as this classic design makes the ideal door for a country cottage look. The vertical glazed panels add simple detail whilst the light oak wood is aesthetically pleasing, making these internal oak French doors a winner all round. This door is supplied unfinished so you can add the paint or stain of your choice, allowing you to match existing doors, windows or even flooring. The Lincoln oak room divider range has an engineered core, ideal for thermal efficiency, strength, durability and value for money.